At Kainos Evolve, we are passionate about how our solutions can help transform the way healthcare is delivered. We know that we are stronger and more successful through our work with others. We are partnering with best-of-breed solution, delivery and resell partners to extend and accelerate our ability to truly transform integrated healthcare delivery. We are always looking for partners who can extend our current solution offering through the combination of our solution capabilities; or who would like to extend their solution capability by using our solutions for Care Pathway Automation. As we grow our business into more and more markets and geographies, we are increasingly interested in working with reseller and channel partners who value our solution offering capabilities and can align those with the needs of customers in the markets and geographies that they operate. The ultimate success of our customer projects is always dependent on the domain knowledge and implementation expertise of the team. We are very focused on growing our consulting and deployment partner network with world class healthcare specialists. As Microsoft’s 2018 UK Partner of the Year, we are working together to transform how patient information is stored and managed, using the Azure cloud platform as our foundation for our cloud-based Evolve EMR solution. Evolve on Azure helps reduce the cost and complexity of becoming digitally mature care providers, enabling better flow and sharing of crucial patient information. 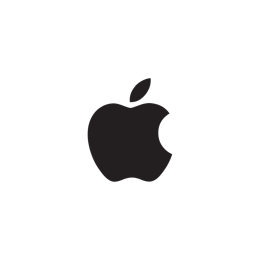 Kainos Evolve have partnered with Apple to provide iOS-exclusive applications for Mobile-Enabled Healthcare. Our apps provide patient information to clinicians wherever care happens, ensuring well-informed, high-quality treatment. As part of the Apple Mobility Partner programme, we are working with Apple to create apps that clinicians love to use, that solve real-world information flow and Care Pathway Automation challenges. To find out more about how Apple and Kainos Evolve worked together with South East Coast Ambulance, view the video and case study here. 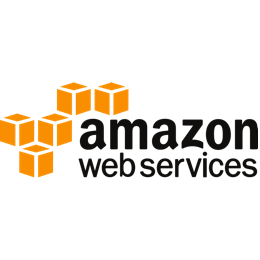 Amazon Web Services provides a highly reliable, scalable, low-cost infrastructure platform in the cloud that powers hundreds of thousands of businesses in 190 countries around the world, including the Kainos Evolve Integrated Care Platform. As we extend our presence into additional countries and territories, the reach and capability of AWS ensures the Evolve platform is ready to solve the challenges of new healthcare markets, bringing Care Pathway Automation to the global healthcare market. If you are interested in finding out more about partnering opportunities please get in touch and one of our team will be delighted to talk to you about how entering into a partnership with Kainos Evolve can help you deliver efficient outcomes-based healthcare.